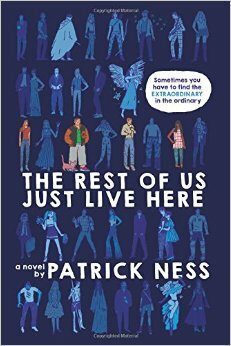 “The Rest of Us Just Live Here” is one of the most unusual books I have ever read. All of the characters are well-developed, including the secondary ones, and are going through the typical growing up issues all of us face at one time or another. The group is diverse in almost every way imaginable, and that really adds another level of enjoyment to it all. Most importantly, there are some very important messages hidden within the fun and entertainment. I’ll let you find those out for yourselves. As an aside, there is a wonderful portrayal of OCD found in the main character, Mikey. It isn’t the main focus, but I’m sure many readers will relate. I highly recommend “The Rest of Us Just Live Here” to any older young adult or adult who is looking for a book that is capable of having them shifting between laughter and tears. I don’t want to write much because almost everything in the book is unexpected. It’s excellent. Great character development; non-stop plot. There is also a very healthy dose of existentialism, which is always a plus to me. A bonus was that it had some parts that scared nightmares into me. In something that very rarely occurs, the story could stop with this book or keep going, and either would be perfect. I’m hoping for the latter, of course. 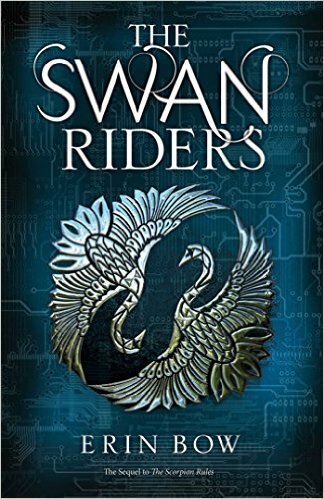 I recommend “The Swan Riders” to anyone who enjoyed “The Scorpion Rules.” If you haven’t read either, please pick up the series if you’re a fan of intelligent dystopias and very diverse books. For fans of The Language of Flowers, a sparkling, big-hearted, page-turning debut set in the 1970s about a young black boy’s quest to reunite with his beloved white half-brother after they are separated in foster care. Leon loves chocolate bars, Saturday morning cartoons, and his beautiful, golden-haired baby brother. When Jake is born, Leon pokes his head in the crib and says, “I’m your brother. Big brother. My. Name. Is. Leon. I am eight and three quarters. I am a boy.” Jake will play with no one but Leon, and Leon is determined to save him from any pain and earn that sparkling baby laugh every chance he can. But Leon isn’t in control of this world where adults say one thing and mean another, and try as he might he can’t protect his little family from everything. When their mother falls victim to her inner demons, strangers suddenly take Jake away; after all, a white baby is easy to adopt, while a half-black nine-year-old faces a less certain fate. Vowing to get Jake back by any means necessary, Leon’s own journey—on his brand-new BMX bike—will carry him through the lives of a doting but ailing foster mother, Maureen; Maureen’s cranky and hilarious sister, Sylvia; a social worker Leon knows only as “The Zebra”; and a colorful community of local gardeners and West Indian political activists. “My Name is Leon” is a difficult book to rate. There are so many important elements but something lacking in the actual telling. The heart of the story is Leon and his love for his brother, Jake. Taken away from a neglectful mother, Leon is left to navigate the foster care system on his own. One chapter was so heartbreaking that it had me sobbing. The third person limited point-of-view is an interesting choice, and in some ways it worked, but I feel like it actually kept the reader distant from Leon at many pivotal points. Since the main point was to show how he understood and saw his world, it was disappointing to feel so far removed from him. The social issues facing minorities in the United Kingdom during the late 1970s/ early 1980s also featured prominently in the story. With Leon being mixed race, he was a good character to show the reactions of both “sides.” Since this is still a problem most countries are struggling with, it was very poignant. However, it really muddled the foster care aspect of the plot. I feel like too much was trying to be done in one novel, and that dragged both plotlines down. I can neither recommend nor not recommend “My Name is Leon.” If it sounds interesting to you, give it a try.